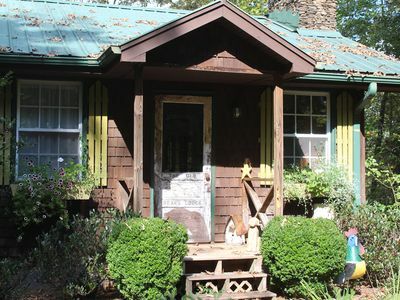 Welcome to our historic log cabin on the river! 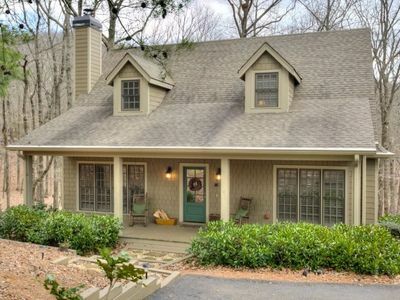 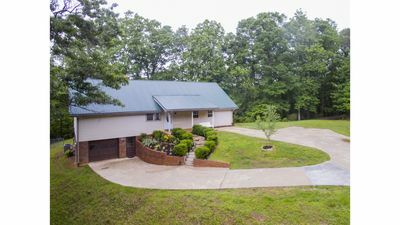 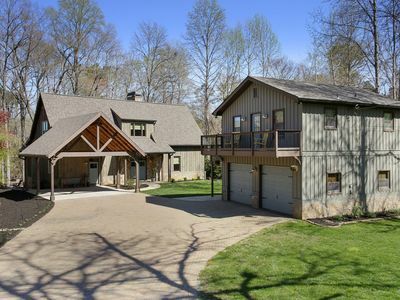 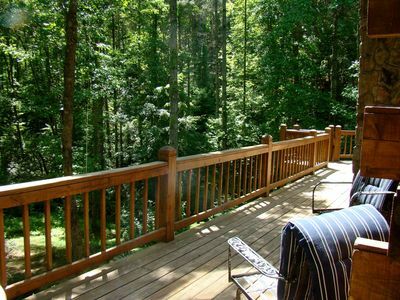 Nestled in the middle of the woods on the Chestatee River, this cabin is a wonderful place to make memories that will last a lifetime. 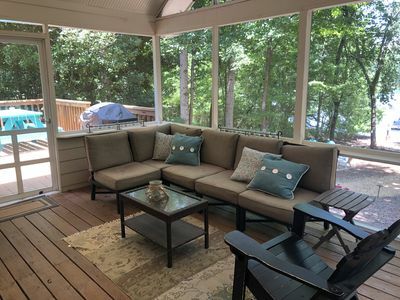 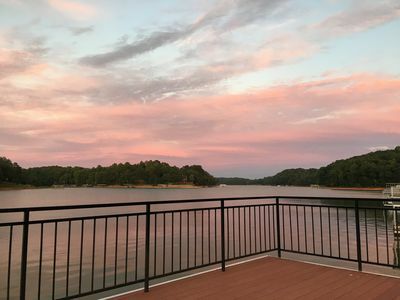 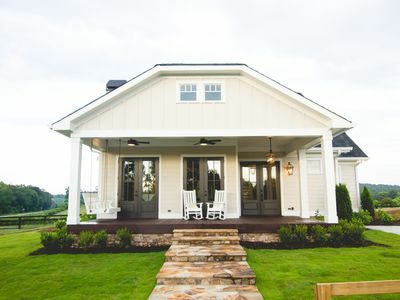 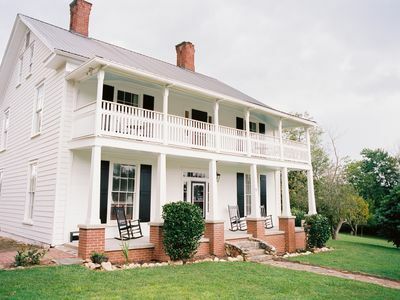 Whether you prefer to snuggle up by the fire, splash around in the river, relax on the wrap around porch, explore Georgia wine country, or shop and dine in Dahlonega, we truly hope you enjoy your stay! 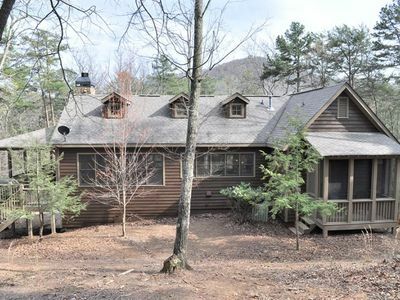 This is a historic log cabin that blends modern amenities with authentic rustic charm. 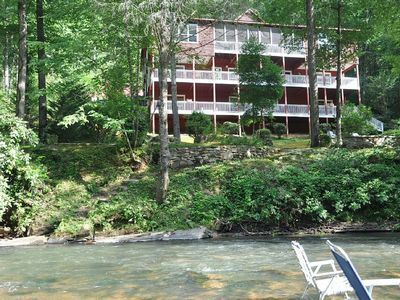 The cabin sits on a rushing section of the Chestatee River in the heart of Georgia Mountain Wine Country. 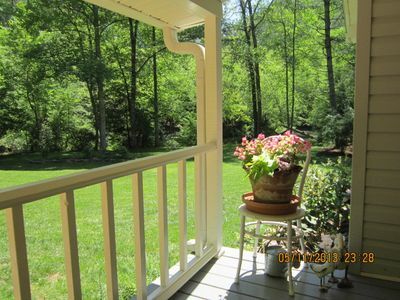 The historic Dahlonega square is just 20 minute drive. 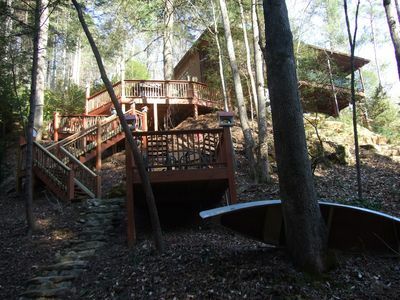 The cabin has a total of 9 beds. 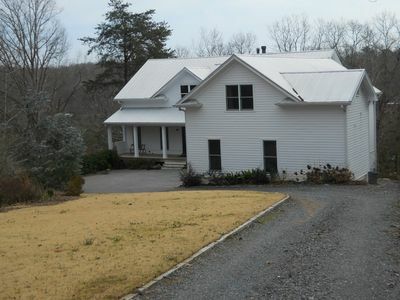 The upstairs consists of a master loft with queen bed and a separated bedroom that has a king, 3 twins, and 2 bunk beds. 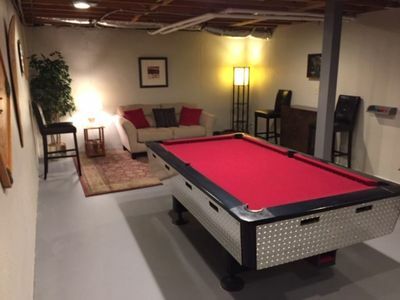 There is an additional bed down stairs with a trundle. 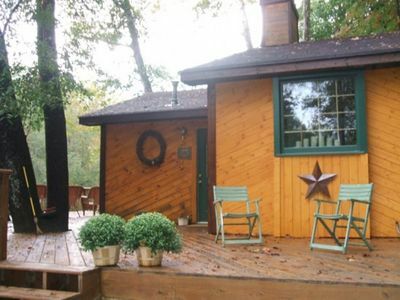 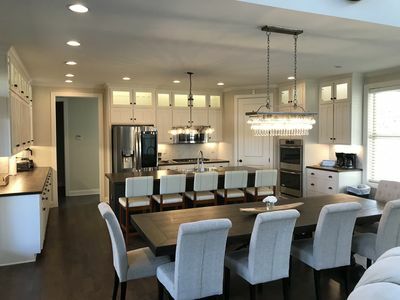 The cabin sleeps 8 comfortably, but can accommodate up to 11. 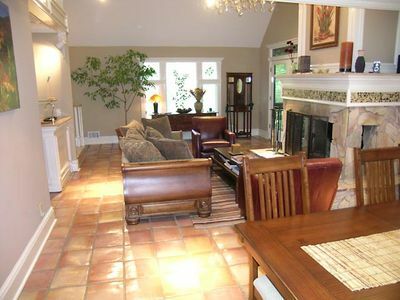 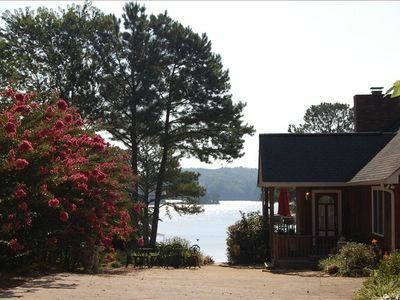 It is great place for family getaways, wedding accommodations, trips to the many local wineries, or a quiet retreat. 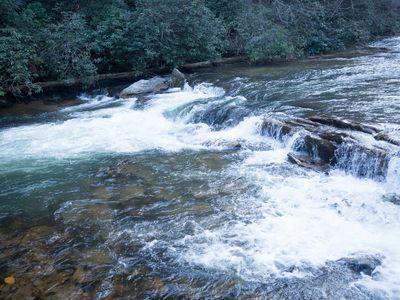 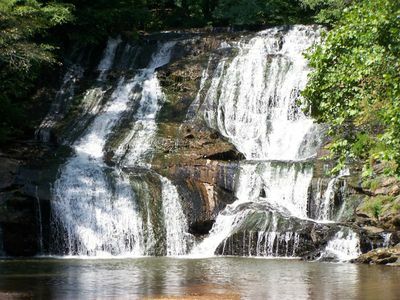 We are situated directly on a rushing section of the Chestatee river perfect for fly fishing or tubing.